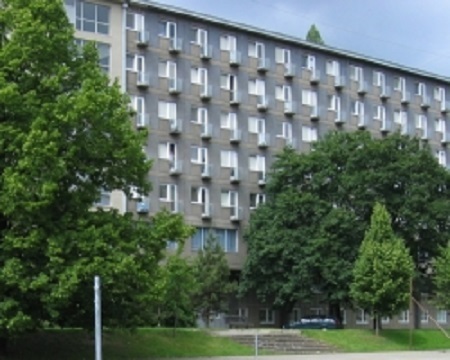 The dormitory (which includes 1019 beds) is close to the city center. The single and double bedrooms are equipped with refrigerators and internet connection. On each floor there is a separate bathroom for men and women and a shared kitchen. Only in 1.PP there is no communal facility, so the accommodation is only recommended for men. The C02 block is reserved for short-term accommodation.